The day was jam packed with activity. It all started at 5am with the Dallas contingency loading the Advocate for Architecture Day bus headed for Austin. During the morning training session I discovered I would be the team lead for our visits with the legislators. Our group’s greatest challenge was navigating the Capitol and underground Extension. Our first stop was with Representative Toni Rose who met with us for a few minutes giving us just enough time to introduce ourselves and our cause for advocating the built environment and the architect’s role in the community. We left her a copy of Texas Architect magazine, a “frame-able” rendering of the Governor’s mansion, and a leave behind explaining our stance on legislature influencing the architectural profession. We also met with staff from Senator Royce West’s office, Representative Robert Alonzo’s office, and Representative Yvonne Davis’ office. 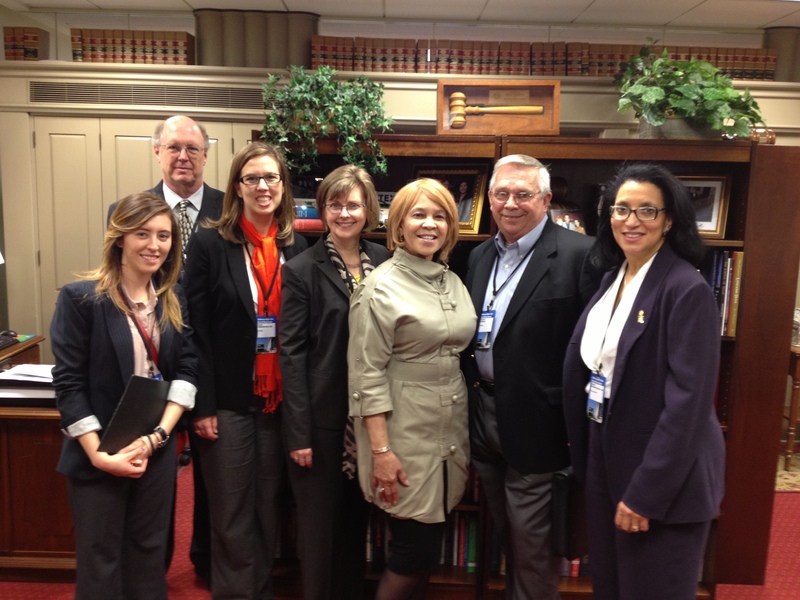 We ended the day with Representative Helen Giddings who was enthusiastic about our visit and rendering. She even took a photo with our team! It was a long day well worth the trip!